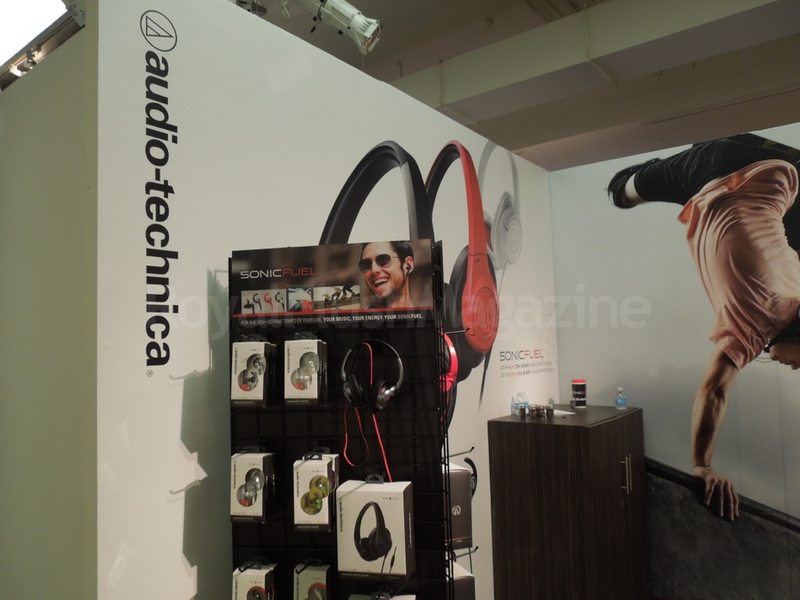 At CE Week in NYC, Audio-Technica showcased their recently launched SonicFuel line-up of in-ear and over-ear headphones. Audio-Technica has been around for about 50 years, producing a broad range of audio products. There are gamers that rely on the high-end audio presentation found in their ATH-AD700 units, which they used for PC gaming rather than solely for music. 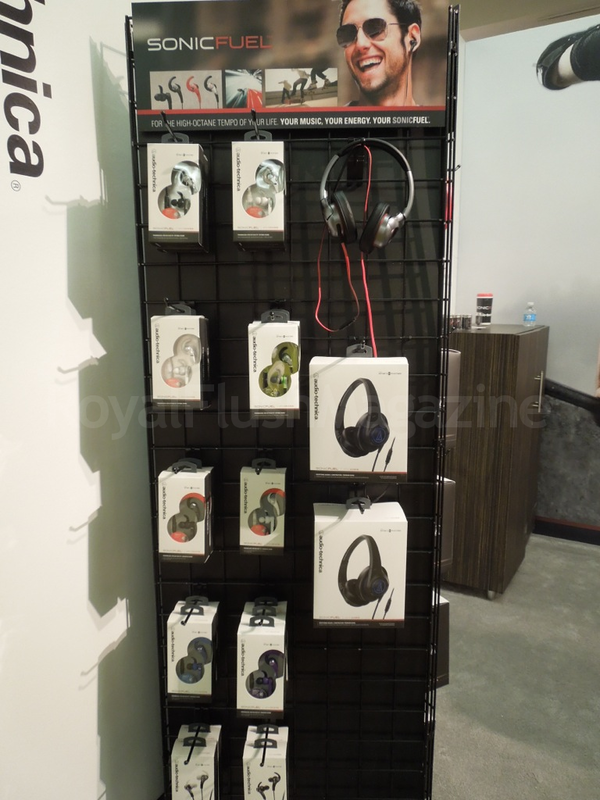 But it’s not always high-end pricing for high-end sound. 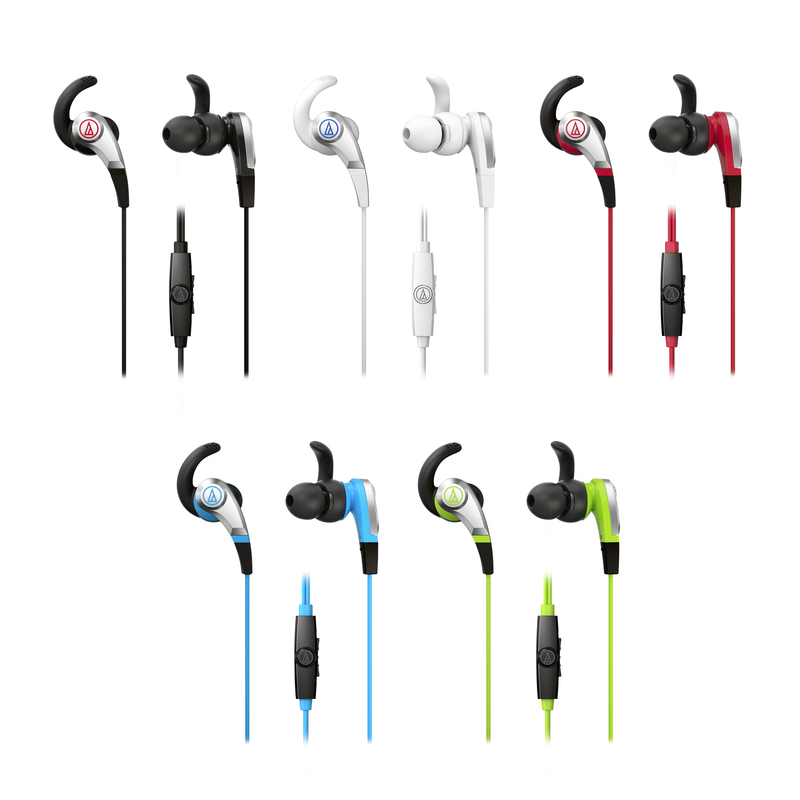 Enter SonicFuel, in-ear and over-ear products coming in a varied selection of colors and ranging from $39.95 to $89.95 in price. 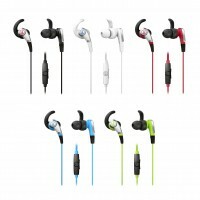 RF Mag dives into the SonicFuel product line to check out the AX over-ear and CKX in-ear headphones. 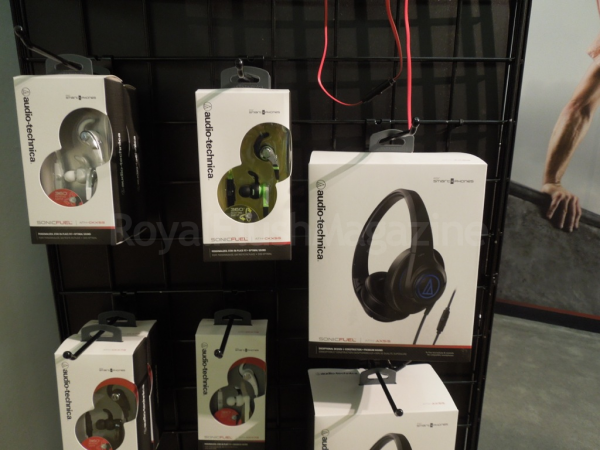 Audio-Technica ’s SonicFuel AX line-up come with an assortment of purchasing choices, with each model adding just a little more as the price goes up therefore leaving many possibilities for eager buyers. 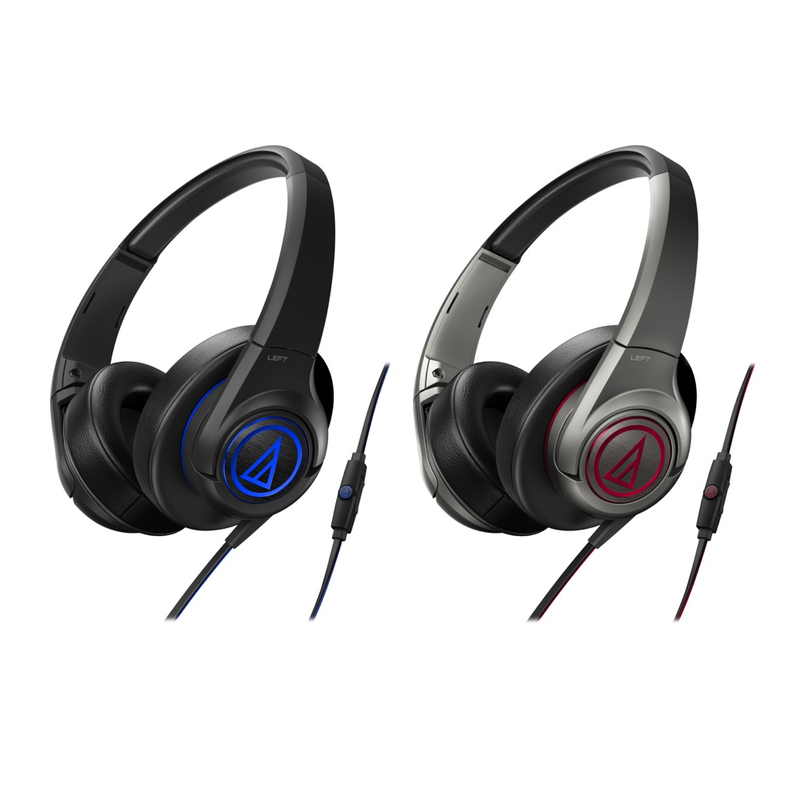 The lowest-end ATH-AX1iS (above on left), coming in at a modest $39.95, houses 36mm drivers and comes in five color assortments: black, white, red with black trim, blue with black trim, and gray with green accents. 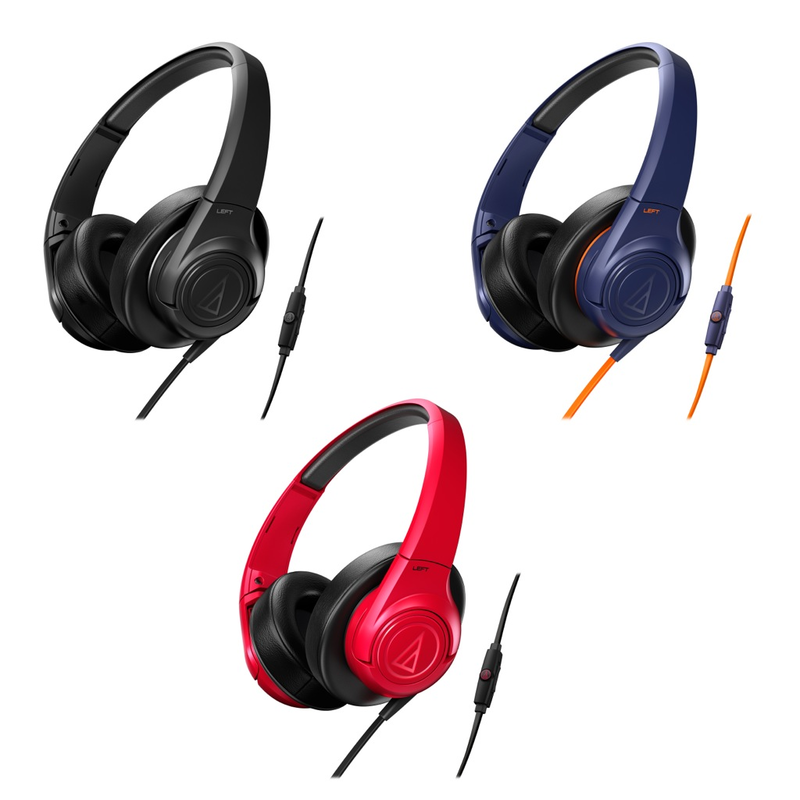 For $59.95, you can upgrade to the ATH-AX3iS model (above on right), featuring 40mm drivers, a flat tangle-free cord, and four color choices: black, navy blue with orange trim, and red with black trim( where is the 4th?). Need a bit more “high-end”? 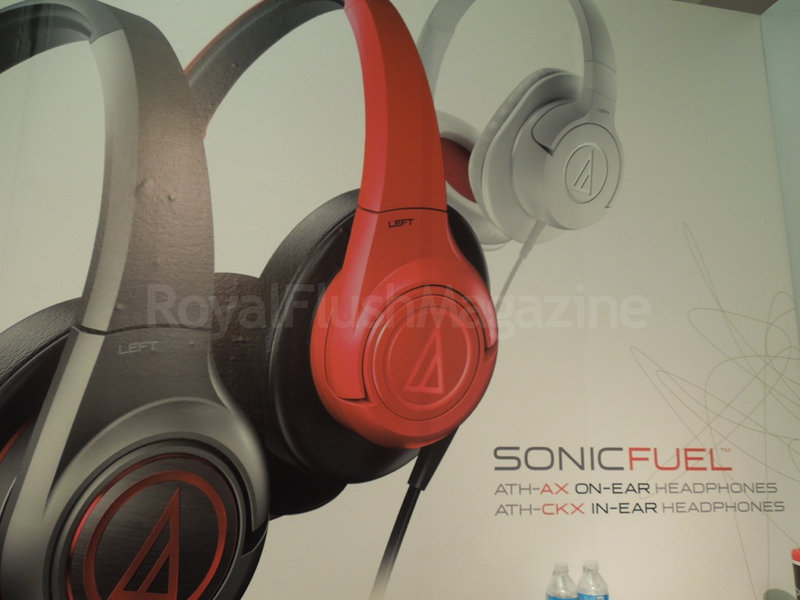 The highest end of the SonicFuel AX series, the ATH-AX5iS (below), will only do $89.95 worth of damage to your wallet. 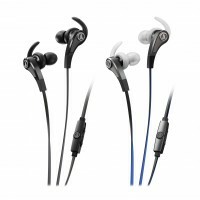 These headphones sport an aluminum and ABS (a light yet hard plastic composition) housing and holds large 40mm drivers. Coming in two colors, black with blue accents and gun metal with red accents, you get the flat tangle free cable with an added carrying pouch. 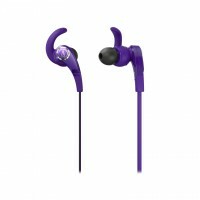 Each of the above three models have built-in microphones and smartphone functionality – the ability to control music tracks and handle phone calls. 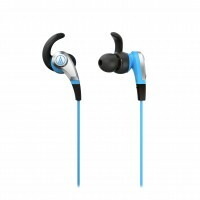 But, if you wish to just stick to the listening and not so much the talking or smartphone controls, the ATH-AX5 and ATH-AX3 counterparts of the ATH-AX5iS and ATH-AX3iS, respectfully shave these features off to save you $4, if you wish to go that route. The ATH-AX5 and ATH-AX3 come in at $84.95 and $54.95 respectfully. 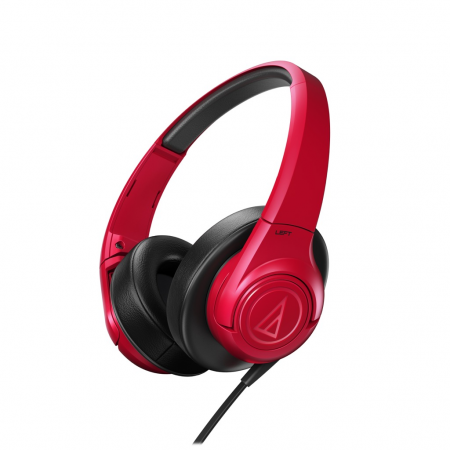 Like the AX Series, Audio-Technica ’s CKX line also come in a 3-level hierarchy of features and cost. The unique feature with all of the CKX in-ear headphones is the 360-degree rotating ears combined with rubber hooks that slide into the contours of your ears. The aim is not only to provide comfort but to execute a perfect sound seal as the 360-degree eartips adjust to your ear canal. Combine these features with an in-line mic and the same smartphone functionality as seen in the standard AX models above and you have a complete mobile listening package even with the lowest end of the CKXis headsets. 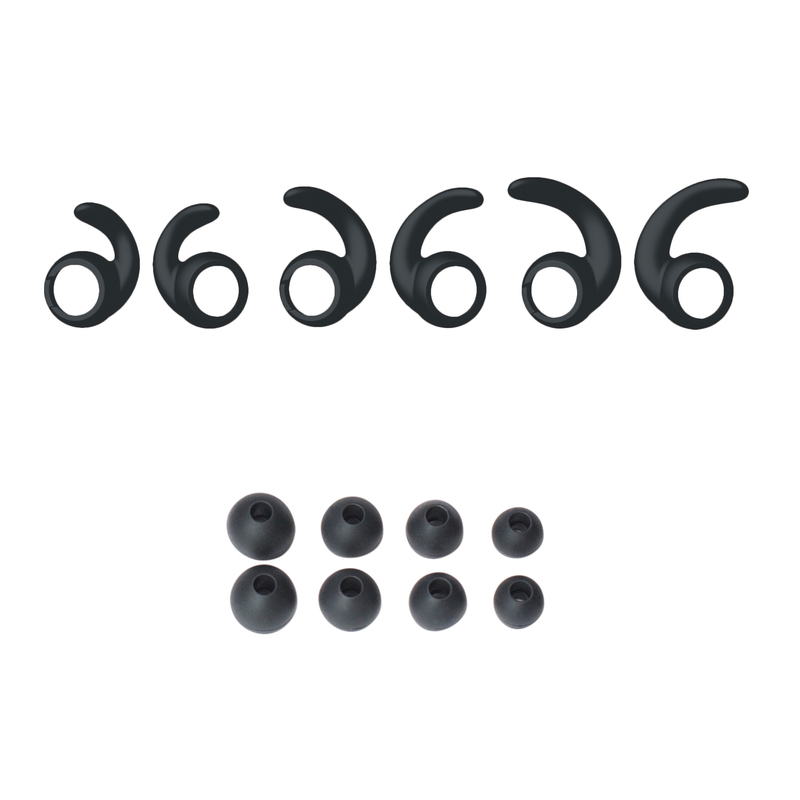 And to complete the deal, all of the CKX variants come with S, M and L-sized C-tips, XS, S, M and L-sized eartips, and Comply™ Foam Tips that form to the shape of the ear canal. At the most affordable end ($49.95), the ATH-CKX5iS (above, left) houses 8mm drivers, comes with a carrying pouch and is available in the following colors: black, white, red, blue and green. Also housing 8mm drivers, the ATH-CKX7iS (above, middle) at $79.95 raises the bar with a flattened tangle-resistant cable and carrying case. 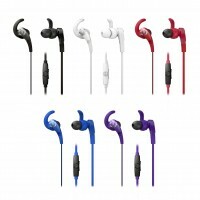 Available colors are black, white, blue, red and purple. 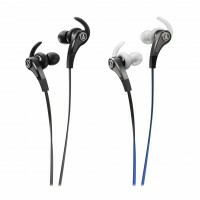 At $99.95, you’ll find the pinnacle of the SonicFuel CKX series, the ATH-CKX9iS (above, right). 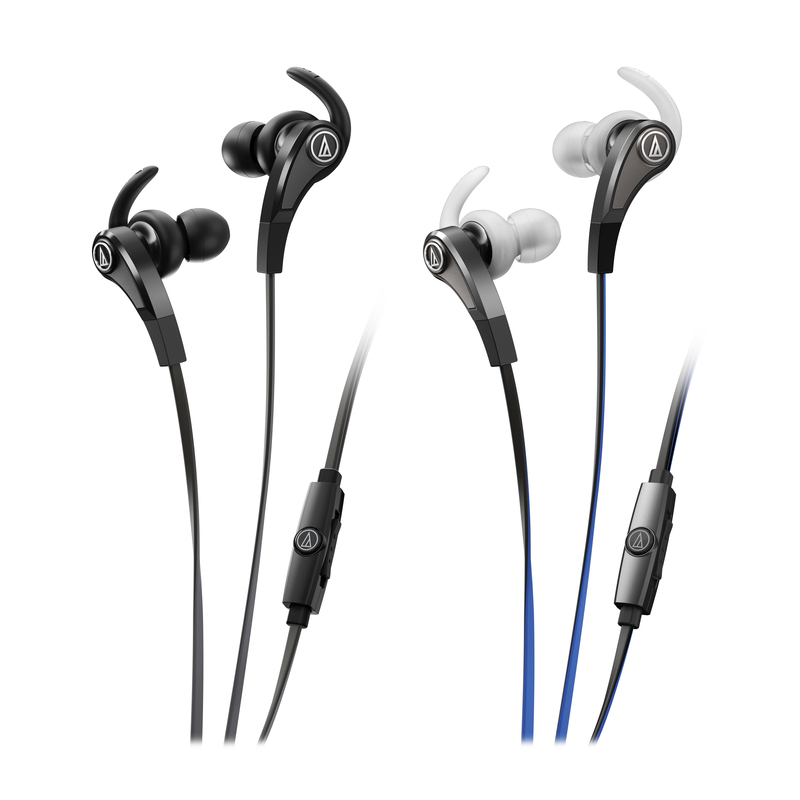 Available in black and silver and also using the flattened cable, these house enlarged 13.5 mm drivers to deliver that high-end sound. 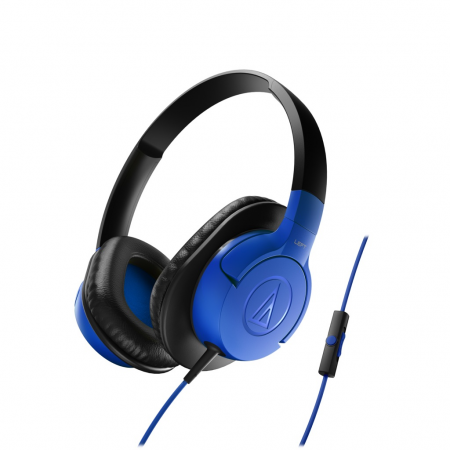 For company that has been in the audio business as long as Audio-Technica has, they are featuring a line-up of products that boast quality while keeping the price very affordable. How good is the quality? 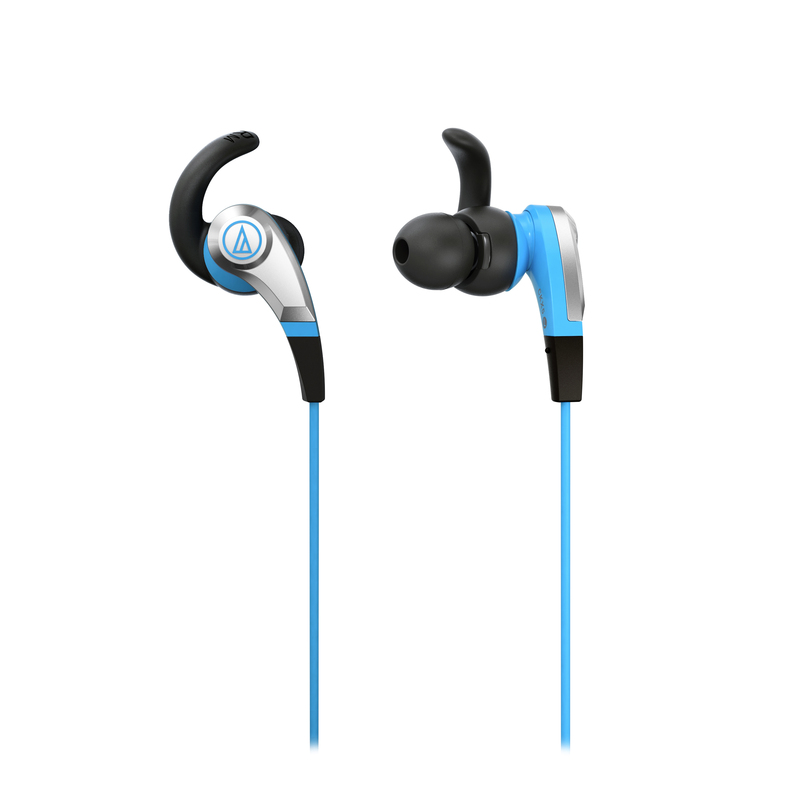 Well, RF Mag got their hands on the mid-tier ATH-CKX7iS in-ear headphone and plan to take it for a test run. Circle back to RFMag.com to see our review, coming soon!